The second of three grade ones on the card is the Drinmore Novice Chase. 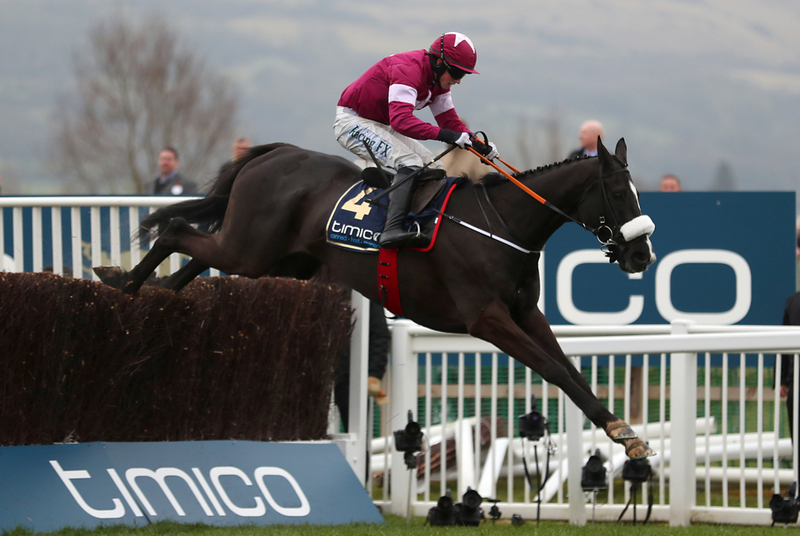 The two mile four furlong contest has Cheltenham Gold Cup winner Don Cossack among its illustrious roll of honour, and 11 runners go to post for this year’s renewal, which looks to be the most competitive in recent memory. The 2018 Cheltenham Festival winner got his chasing career off to the perfect start when cantering to victory at Galway by 17 lengths, but was denied victory in a grade two at Punchestown last time out by only a neck. He stayed on well that day and showed that staying chases will be his forte in the future, but needs to find an ounce more class to be winning at this level. Yet, given the open nature of this year’s renewal, this might be his chance to get a grade one victory under his belt. Has taken a while to warm to the chasing game, but he managed to produce some big performances to land a valuable handicap chase at the Punchestown Festival and a grade three at Punchestown earlier this season. The gelding disappointed last time out behind a stablemate back at the same venue and will need to bounce back to score here. It’s interesting that he is Willie Mullins’ sole representative in this race, and will be looking to make the most of his novice status, which runs out soon. The five-year-old has been kept busy this season, racking up eight starts since August. His notable success came when scoring at Cheltenham in October, but was way behind Blow by Blow when they were both beaten at Punchestown. A lot more needed to even be competitive here, and is one of the outsiders of the field. The trainer’s first string in the race, Delta Work stepped his form up to a new level last season, winning the Pertemps Final at Cheltenham and then was narrowly denied in a grade one at Punchestown. He made hard work of his chasing debut at Down Royal, getting deep into his fences and was strongly driven out to win. However, Elliott’s yard wasn’t in fine form then and he looks made for chasing. The one to beat. Inferior to these rivals over hurdles, but Discorama made a superb start to life over fences when taking the scalp of some notable rivals on his chase debut at Naas. This was immediately nominated as his next target after that victory by his trainer and has been given a short break since. He needs to prove he is up this level over fences, but it would be a welcome success for both the Jockey and Trainer combination. Began life over fences with an unseat on his first start after a little error, but he made amends with a gritty success at Navan last Sunday. It’s a quick turnaround for the six-year-old and has to find slightly more on ratings to be in with a shout here, but he finished second in a grade one over hurdles at Leopardstown last season and does have the potential to find that improvement needed for his big-race connections. A player at a generous price. Has been backed into strong favouritism with some impressive performances since switching to the bigger obstacles. The five-year-old is unbeaten in two starts after a fine fifth in the Galway Hurdle, including a foot perfect win in a usually-informative grade three at Tipperary last time out. He’s been given a break since, but the trainer has maintained this has been the primary early-season objective he’s been aimed at. He is the one to beat on form and sets the standard for the race. Firmly put in his place over hurdles last season, but has had a successful start to his chase career in his two starts to date. The six-year-old was beaten by the smart Voix Du Reve on his debut at Galway, with the form being well-franked since. He improved on that to open his account with a pleasing success at Wexford in late October. However, he is the owner’s third string here, and his previous form suggests grade one company is too hot to handle for him. It feels as though this six-year-old has been around for a long time, he’s an admirable sort who was won various graded races over hurdles and fences. Struck at grade three level in a novice chase at Galway over the summer, but has been slightly disappointing in two starts since. A grade one victory has evaded him, and even though this looks to be a winnable contest, Rashaan falls just short of this level. Smart mare who gained valuable black type over hurdles, culminating with a listed-race success at the Punchestown Festival. She won a mares chase contest at Galway last time out, but this is of a different calibre and her outsider status shows the difficult task she has on her hands. Has been on the go throughout the summer months without stringing many victories together, and was last seen finishing a distant third in a grade three at Cork. The rank outsider of the field and has very little chance here.